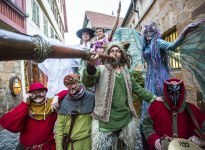 The Esslingen Medieval Market and Christmas Market is unique – and “more full of adventure than any other in Germany”. 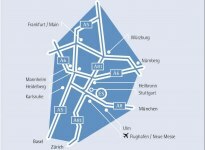 With more than 200 booths, the Esslingen Market is also one of the largest in the region. 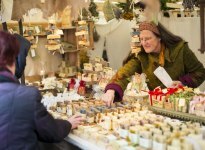 For almost four weeks at the Medieval Market, merchants in historical garments offer their goods for sale just as they did hundreds of years ago. Craftsmen like pewterers, felt-makers, tinder-makers, blacksmiths, rope-makers, basket-makers, broom-makers or glass-blowers demonstrate their craftsmanship. Furthermore, in the streets and on various stages artists fascinate their audience with juggling, music and nonsense. All around, Esslingen´s medieval half-timbered houses create a unique and spectacular backdrop. 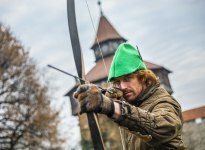 The Middle Ages with all one´s senses, lock, stock and barrel. It is little wonder that crowds flock to this spectacle - from the region, from Germany, from all over the world. 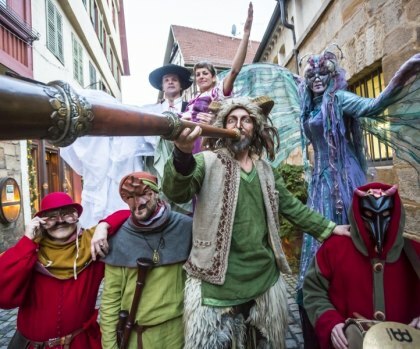 Esslingen is never so close to its history and to itself than in the pre-Christmas weeks - when the whole town takes a thrilling trip back in time. 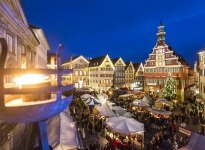 Welcome to the most adventourous Christmas Market in Germany!